Branding! That’s what it’s all about! 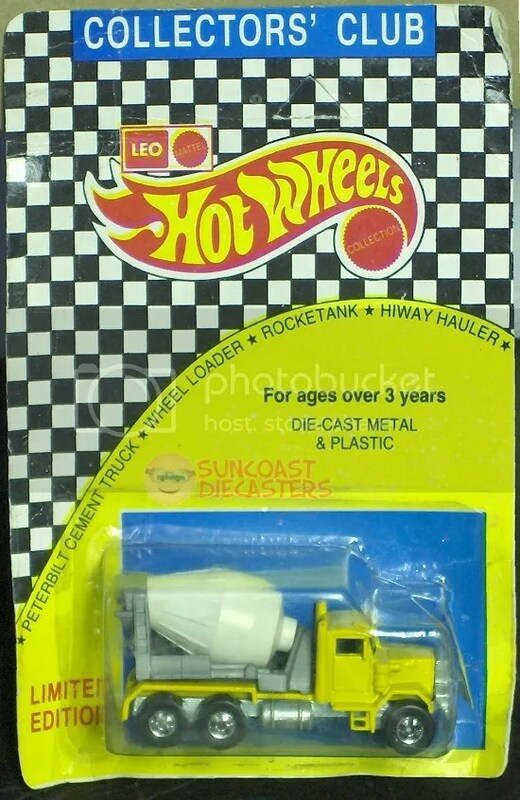 I mentioned last month that Ken and his daughter set up a Suncoast Diecasters Facebook page. They use a cropped version of our Fifth Anniversary Club Vehicle ”family photo” as the wallpaper (or banner, or header). It looks so good that I decided to do the same thing for our WordPress blog and our Twitter feed! So now we have a consistent look on all three sites. Or, in BrandingSpeak, “We’ve implemented a unified synergystic visual strategy across multiple social platforms.” It all works so smoothly that you probably didn’t notice the subtle and nuanced joke in the title of this post. Go back and look at the title again. I bet you didn’t even see it. 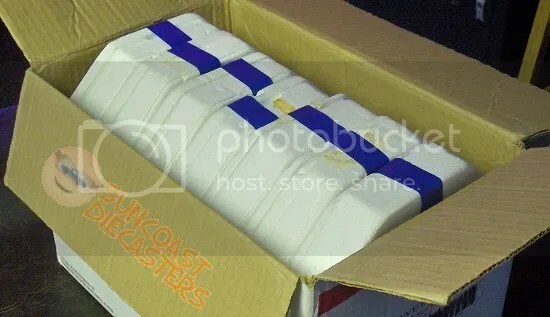 ‘Cause I didn’t feel like unboxing & untaping them after Tom bought ’em from me. Seriously, the above plates are from my collection of Hamilton Collection plates. And yes, they are from our February meeting, not from Christmas. Tom got them for his brother’s ”man-cave”. Had them taped and boxed a good half-hour before I realized I should’ve photographed them. 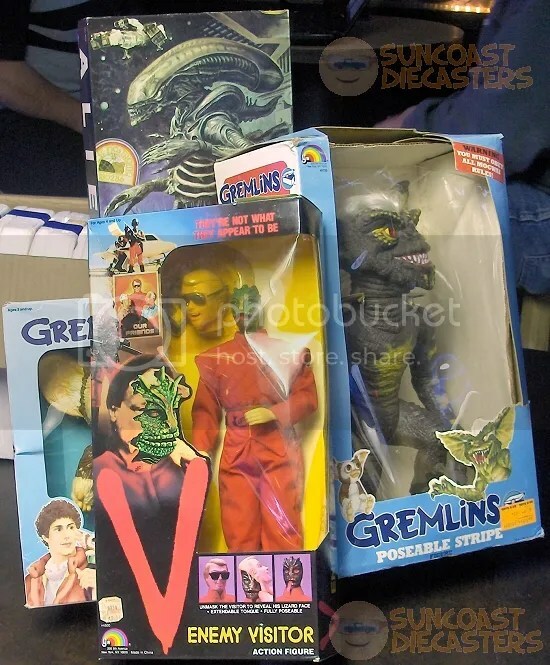 Along with various assorted sundry cars, Big Tractor Mike also bought these items from me: Alien poster puzzle (3′ from top to bottom when completed); 8” Gizmo and 12” Stripe figures from Gremlins; and the V alien visitor action figure. Explain to me again how LJN went out of business? 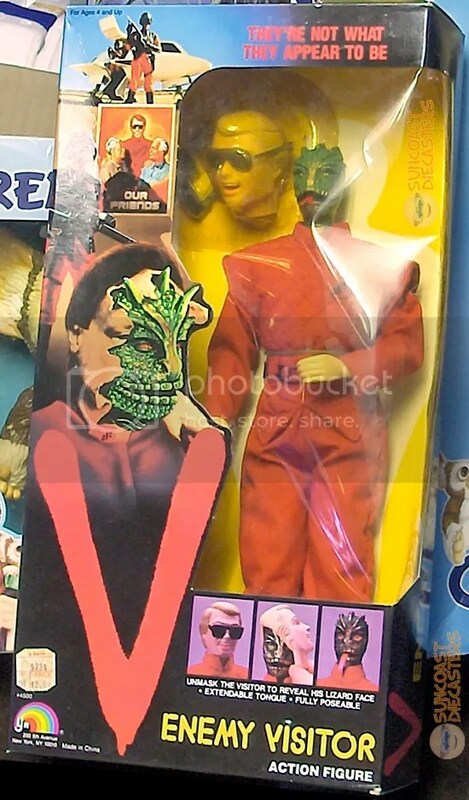 When I pulled this out of storage, I was surprised to see that the human mask was still in its little bubble. I couldn’t believe that I didn’t even once try the “pop the mask on/pop the mask off” gimmick. So I slid the inner cardboard “tray” out of the box, and discovered a slit paralleling the rear border of the bubble. Clearly, I had in fact taken an X-acto knife to the bubble specifically so’s I could test-fit the mask. Takes away from collector value, of course, but least it’s less damage (and less obvious damage) than simply ripping the bubble off the tray. And it makes a better presentation than having the mask flopping around loose inside the box. This is a bittersweet thing for me. I’m glad BTM bought it; I know for certain in my possession it would’ve only spent more years buried in storage. But in rediscovering the V figure, I also rediscovered yet another long-gone, classic element of the American fabric: Zayre. Along with such names as K-mart, McCrory, and Woolworth/Woolco, Zayre meant a wide variety of products and brand lines at very attractive prices. Zayre was sold to Ames in 1988, which at the time I found amusing, in that they literally “went from Z to A” in rebranding (Branding!) the chain. Ironically, Ames itself went out of business in 2002. 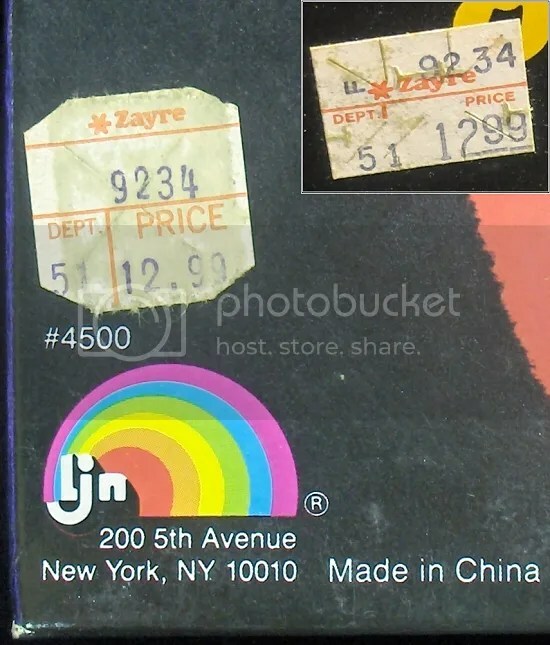 Ah, well; before moving on, perhaps you could take another look at Zayre. Anyway. If you’ll recall, the day of our February meeting was also the same day as the K-day event. Again not impressed with the “special colors” models, I went through my case merely to see what caught my eye. 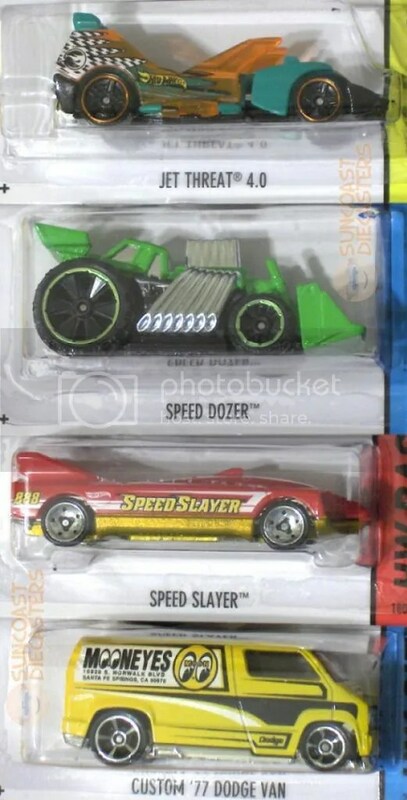 I very happily came away with the Treasure Hunt version of Jet Threat 4.0; the new green version of Speed Dozer (I think this green is much more aggressive than the original “construction” yellow); Speed Slayer, a new, “salt flat racer“-style model; and my favorite of the four, the Mooneyes-branded (Branding!) 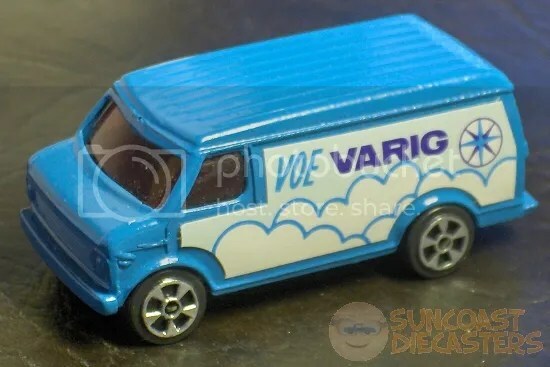 Custom ’77 Dodge Van. Yep, much as I dig wild customs, my fave this time ironically is the mundane corporate roller. Yet I still can’t find ”Moongaloonie” on the ‘Net. 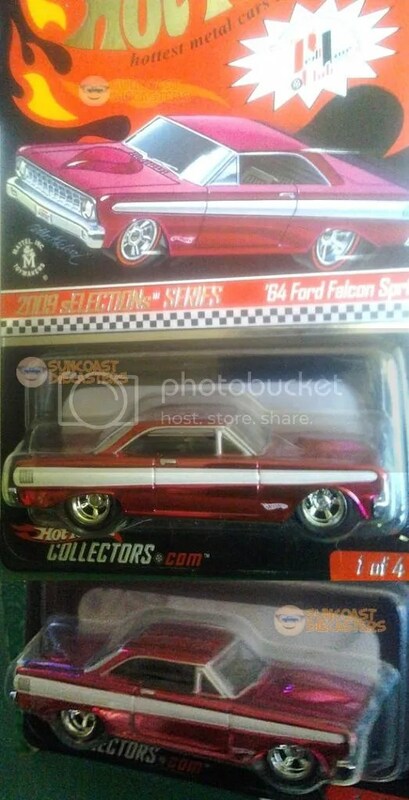 Ken purchased this RLC ’64 Ford Falcon Sprint from me, and was embarrassed about it because his “make offer” price was less than what I originally paid for it. I told him he should be happy, because 1) he got an RLC model at a discount, and 2) he alleviated me of one more thing to have to re-pack at the end of the day. Well, Ken bought the upper one; I kept the lower one. Huh? Speaking of Ken (see previous paragraph): What’s in the box, Ken? 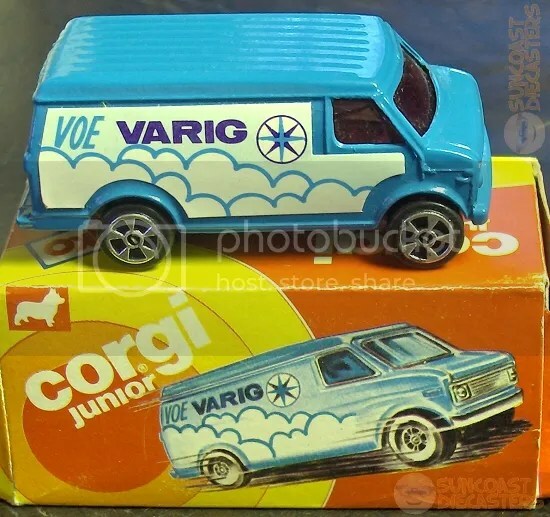 Oh, here’s what’s in the box: a Chevrolet van, by El Junioro de Corgi. A little spanish lingo for you there, because this is actually a Brazilian import. Industria Brasiliera, by KIKO. You can find out more about KIKO by visiting Gary’s Cars. An oldie but a goodie. 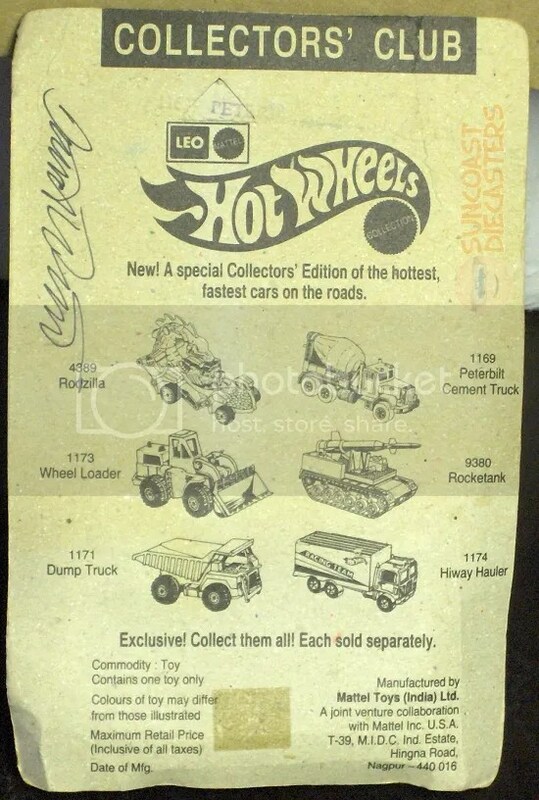 No, not Hot Wheels’ ”Oldies But Goodies” series; look, you know what I mean. Collect them all! All six of ’em! Yes, I’d say ”limited edition” is quite accurate. 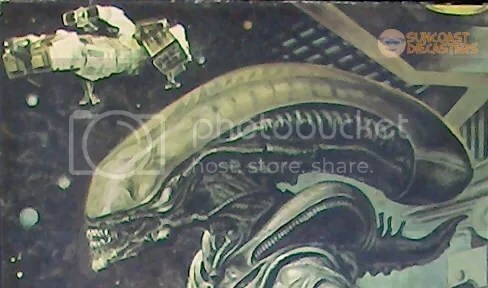 This entry was posted in Alien, Collector Plates, Corgi, Hamilton Collection, K-Day, Leo, LJN, Puzzle, V, Zayre. Bookmark the permalink. ← 2015 starts off with a great start!